If you have a dental emergency, we will attempt to see you on the same day as you call, so it is important that you call our office as soon as you can. While you are waiting to come in for treatment, there are some things you can do to ease your discomfort and increase your chances of successful treatment. If you are suffering from a toothache, you may find temporary relief from the pain by taking over-the counter pain medication such as ibuprofen. You can also reduce the pain of the toothache by placing an icepack or a bag of frozen vegetables, wrapped in a dishcloth, lightly over the painful area. If you break a crown, make sure that none of the pieces of the crown are still in your mouth since they are a choking hazard. If the crown has fallen off, you may be able to replace it and hold it in place temporarily with denture adhesive. If one of your fillings breaks or drops out, you can get some relief from discomfort by putting a small piece of chewed sugar free gum in the hole. If you suffer a dental emergency, time is of the essence. Getting treatment quickly will give the best chance of a successful outcome. 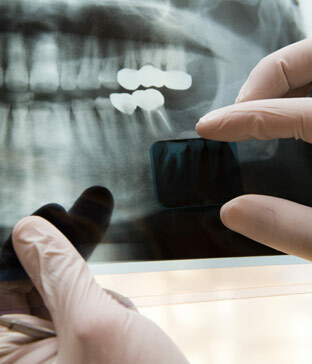 If you need more information about Dental Emergencies in Dartmouth, contact us today.